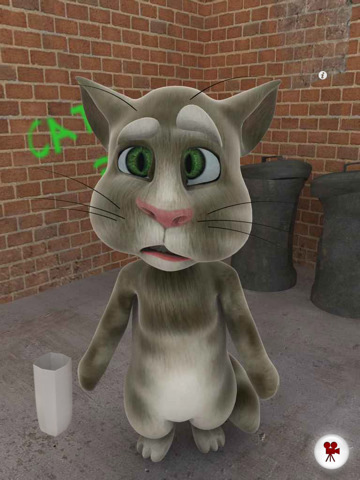 Talking Tom Cat for iPad - Tom is your pet cat, that responds to your touch and repeats everything you say with a funny voice. You can pet him, poke and punch him or grab his tail. 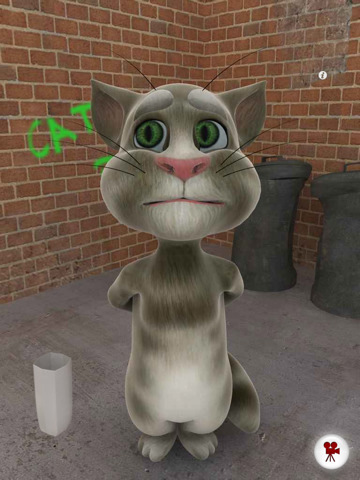 Record videos of Tom repeating your words and share them with friends and family. · Pet him to make him purr. 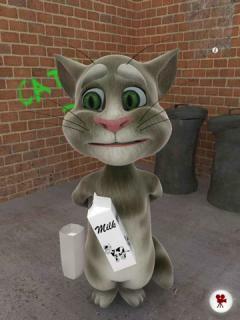 · Pour a glass of milk for him. · Record videos and upload them to YouTube & Facebook or send them by email. · A new and improved version with several bugs now fixed.